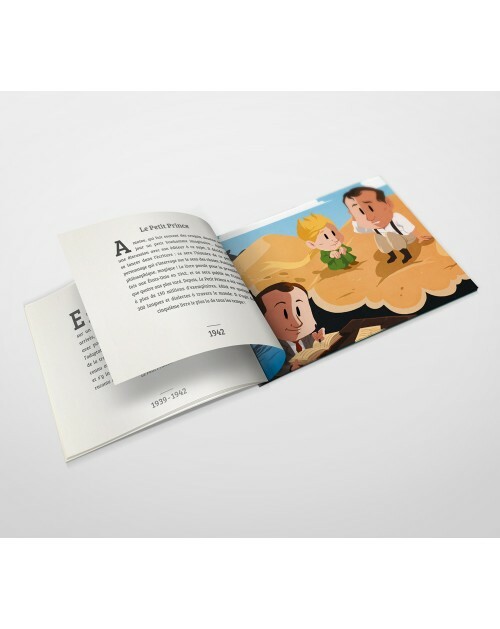 Bookmark The Little Prince "J'ai des amis ˆ dŽcouvrir..."
Enjoy your read with the bookmarks The Little Prince ! This beautiful and original bookmarks will make easier your read ! You'll be able to find wuickly your last page and continue your story ! Put all of your favorite photos in these two beautiful photo albums. Each albums has 48 photos ! Folded Card with envelope The Little Prince - noir "On ne voit bien qu'avec le coeur..."
Write to your friends with this nice post card The Little Prince. You don’t need to buy an envelop. The postcard is supplied with an envelop !